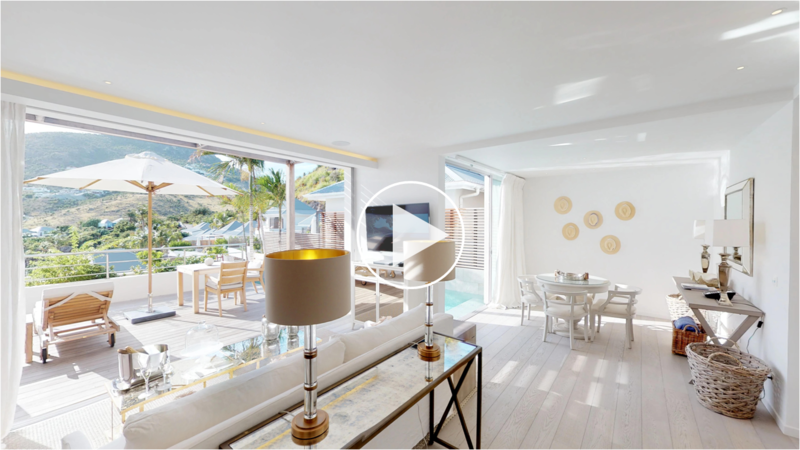 The Duplex Spirit Suites are the perfect balance of luxury and open spaces with astonishing ocean views. The interior area on the first level features an open living room with a kitchenette and dining area. Full glass doors lead out to the private terrace and pool offering views of Toiny bay. The bedroom on the top floor with a walk in dressing, bathroom with bathtub, separate shower and dual vanity units proposes a vast private balcony with great views. The pool in each of these Suites is 10 x 18 feet. All Duplex Spirit Suites have their own parking space for 2 cars. - Organic Bamford amenities "Bamford"